Nothing can compare to the taste and smell of barbequed food sizzling on an outdoor grill. These days outdoor grilling is not just reserved for warm weather. For some, the grilling goes on year round. Whatever your outdoor cooking preference, choosing the perfect grill can be easy with a little help from Ace. In today’s market there is more to choose from besides the traditional charcoal or gas grills, so we’ve put together this outdoor cooking buyers guide to help smoke out the best barbecue grill for you. Determine which type of grill will fit your needs. Convenience: If you are looking for convenience and ease of use, then a gas grill will fit the bill. Consider a stainless steel gas grill if you are looking for something durable and sleek. Flavor: The person that is looking to concentrate on flavor may want to consider a charcoal grill. These cookers are what come to mind when you think of traditional barbecue grilling and are less expensive than their gas counterparts. Space: If you live in an area where gas or charcoal grilling is prohibited, an indoor electric grill is a great option. Electric grills can also be used outside if you are confined to a small deck or balcony. How many people you are feeding? If you are feeding a family of four, a 22- inch charcoal kettle grill or a three burner gas grill should work perfectly. If you throw parties often, opting for a 6 burner gas grill or large charcoal grill will be your best bet. Tip: When determining grill surface size, only consider the “primary” grate. Many manufacturers include the size of the warming rack in their measurements. How much space is available? 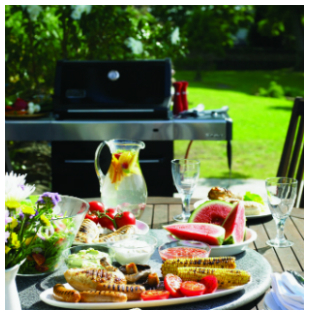 Many gas grills come with side burners and accessory racks that take up space. Determine where your grill will live and choose its size accordingly. What are you cooking? If you are a weekend warrior and just cooking burgers and hotdogs for the family, a small charcoal or gas grill is all you need. Someone who is cooking more advanced meals such as brisket or a rack of ribs would want to go for a larger, 26-inch kettle grill to ensure ample grilling surface. Determine your budget. Perhaps the most important of all factors is your budget. Grills are available in a variety of price ranges, so it’s important to set your grill expectations against what you are able to spend. Gas grills are durable and can offer a wide variety of additional features such as side burners and rotisserie kits. These features tend to make gas grills more expensive and attractive to those with higher spending limits. While there are some charcoal grills that are more expensive, the majorities are less expensive than gas grills and appeal to buyers with a smaller budget. Now that you know what to look for when grill shopping, let’s determine which type of grill will be the perfect fit. 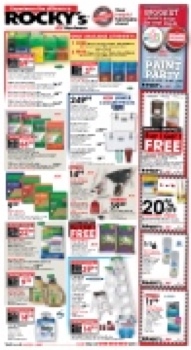 Propane Gas Grills: Propane grills can be set up nearly anywhere and are ready to use quickly. Remember to keep your propane tank plenty full so you don’t run out in the middle of a BBQ. Natural Gas Grills: The installation of a gas line is required where the grill is set up. This will save you money on fuel in the long run, but keep in mind the location of the grill is permanent. Infrared Grills: Infrared radiation is used to cook your food directly. These grills ignite quickly, control heat easily and uniformly cook your food. Tip: A stainless steel grill adds a contemporary look to your backyard and resists corrosion. If you are looking to add some color to your patio, gas grills come in a variety of colors including green, brown and gray. Gas/Charcoal Combo Grills: For those that want the best of both worlds, combo grills feature a gas igniter that lights your charcoal quickly, eliminating the need for lighter fluid. Kettle Charcoal Grills: Originally made by Weber, these colorful grills are extremely popular. The kettle grill is designed to evenly distribute heat ensuring perfect cooking every time. 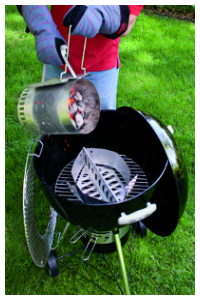 Small kettle grills are also portable, making them easy to take to the park, campground, or ballgame. Disposable Charcoal Grills: Disposable grills take portability to another level. Not only do they allow you to take the BBQ on the road, but when the grill cools off after you’re through cooking, you can just toss it in a recycling bin or trash can. Charcoal Smokers: Charcoal smokers combine slow-cooking heat with flavored wood chips to give your food a delicious smoky taste. Wood Smokers: The process of smoking your food exclusively with wood requires the additional preparation of soaking your wood chips before getting started to ensure they burn for a prolonged period. But some say the resulting flavor is more intense depending on the type of wood selected; such has hickory, oak or maple, to flavor your meats. Pellet Smokers: The newest variety of smokers, pellet smokers use pet-food sized wood pellets as their fuel to capture the flavor of hardwood, but manageability of charcoal. 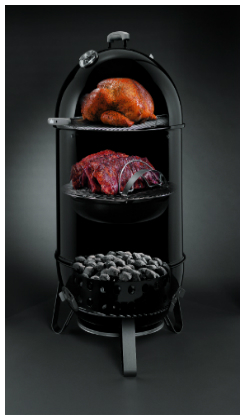 Electric Smokers: Electric smokers offer the complete control over temperature, time and smoke levels. Many people prefer the convenience of setting an electric smoker to cook rather than regularly tending the smoking process with wood or charcoal models. Grill/Smoker Combos: These combination units are a versatile alternative for those who want to have the option of either grilling or smoking their food. An electric grill offers a great solution for grillers who live in areas where charcoal or gas grilling is restricted. Electric BBQ grills heat up quickly and are portable so they can be used nearly anywhere an outlet is available and then stored out of sight. Because most electric grill grates are dishwasher safe, clean up is an easy and hassle-free. Electric grilling is also great for the health conscious since it reduces the amount of fat used in the cooking process. Indoor Electric Grills: Indoor electric grills are a perfect solution for grilling in your home or apartment, since they produce virtually no smoke and are easy to clean. Outdoor Electric Grills: These grills fit well in small spaces like your apartment’s porch or balcony and will satisfy your grilling urge. Just make sure an outlet is easily accessible! Infrared Electric Grills: Infrared electric burners instead of open flames sear and finish your food perfectly and evenly with few flare-ups. Turkey Fryers: Frying a turkey is a great way to serve Thanksgiving dinner in half the time. A deep fried turkey’s delectable taste comes from frying the bird in hot oil using a propane stove base and large fry pot until its skin is crispy and the meat is tender. To make things a little easier, special turkey racks and hooks are available that assist with the turkey’s preparation. Tip: Cooking with hot oil can be extremely dangerous. Be sure to follow all instructions and have a fire extinguisher on hand when using your turkey fryer. Oil-less fryers: Oil free fryers are a safer and healthy way to fry your favorite foods. Oil-less fryers eliminate oil by using radiant heat to cook your turkey, chicken or other larger cut of meat. Oil free fryers are less expensive, safer and easier to clean than their traditional deep-frying counterparts. Now that you’ve picked out the perfect grill, it’s time to consider your grilling accessories. When it comes to accessories for the grill, there is no shortage of options. From tongs, spatulas, and brushes to grill covers, grates, and carts the list goes on. We’ve compiled a short list of what we consider “outdoor cooking accessory essentials” to help narrow down the options and get you on your way to BBQ bliss. Like any job, having the right tools makes all the difference. The same holds true for your BBQ tools. A basic set of grilling tools will elevate your grill mastery to new levels. The essentials for any BBQ tool set should include a grill spatula and tongs for flipping and moving food around the grill top, as well as BBQ fork and a basting brush. The most important of all grill utensils, however, is the grill brush. The BBQ grill brush is paramount to great tasting food because it keeps your grill grates clean and ready to use. Your BBQ grill should not be without a grill cover. 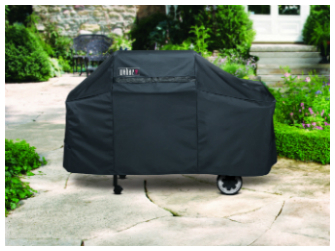 Regardless of the season, a BBQ grill cover will protect your grill from all the elements. Grill covers are water and weather-resistant and come in many shapes and sizes to fit many outdoor grill models. Some, such as Ducane and Weber grill covers, come in custom sizes to fit their specific models. For extra protection, a grill cart is essential for moving your grill into a garage or shed. If you cook outdoors year round, protect your investment with a heavy-duty grill cover. You have your basic grilling utensils mastered and now you are ready to kick your grill game up a notch. With the variety of grill cookware available, you should have no problem getting started. Cook up some veggies quickly and with no mess with a grill basket. Use some metal or bamboo BBQ skewers to serve perfect kabobs every time. If you are having trouble knowing when your steaks are done, a meat thermometer is indispensible. Add some variety to your grilling accessories with some different grill cookware and impress your guests at your next BBQ! In today’s grilling world, most cooking is done with charcoal or gas. But traditionally, wood was used to both cook and season meat with the meat taking on the flavor of wood used. The tradition of flavoring grilled foods with wood is easily achieved today with BBQ wood chips or pellets. The smoke from a handful of hickory wood chips will penetrate your food and impart a highly sought after, smoky flavor. BBQ wood pellets are another source of grill seasoning, similar to wood chips, but in the form of small, compressed “pellets” of sawdust. Throw some flavored wood chips on the coals the next time you are grilling to infuse your food with some real BBQ flavor. Chimney Starters: Chimney starters are an easy way to get your charcoal up to temperature fast. Charcoal chimneys work by filling the chimney with briquettes and lighting them from the bottom. Once lit, just dump the charcoal into your grill and your ready to cook. Simple. Charcoal Starters: Charcoal starters light charcoals quickly and efficiently. Simply place the electric charcoal starter in a mound of briquettes and plug it in. Your charcoal will be ready to use in minutes. Charcoal briquettes are the life force of your charcoal grill; they are the fuel that cooks your food. Briquettes come in many varieties including: hardwood, lump, and natural. If you want to add a little flavor to your grilled food, use a seasoned charcoal such as mesquite or hickory. 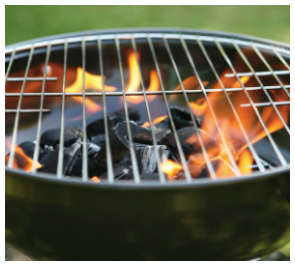 Instant charcoal is pre-soaked with lighter fluid, so starting your grill is a breeze. If you have a gas grill and want to get the effect of charcoal, lava rocks are used to line the interior of the grill. These rocks heat quickly and distribute heat evenly throughout the unit. The grill is a monument to fun, good food and memories. Choosing the gas, charcoal or electric grill that fits all your needs is fundamental to years of great grilling and backyard entertaining. 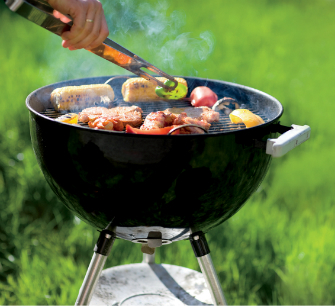 By referring to this outdoor cooking buyer’s guide, shopping for the right grill will be a snap!